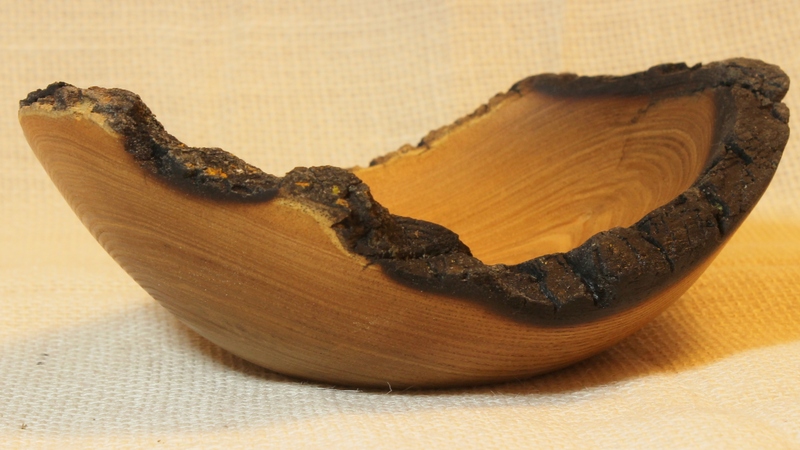 Here’s the finished product from that chunk of charred green ash. 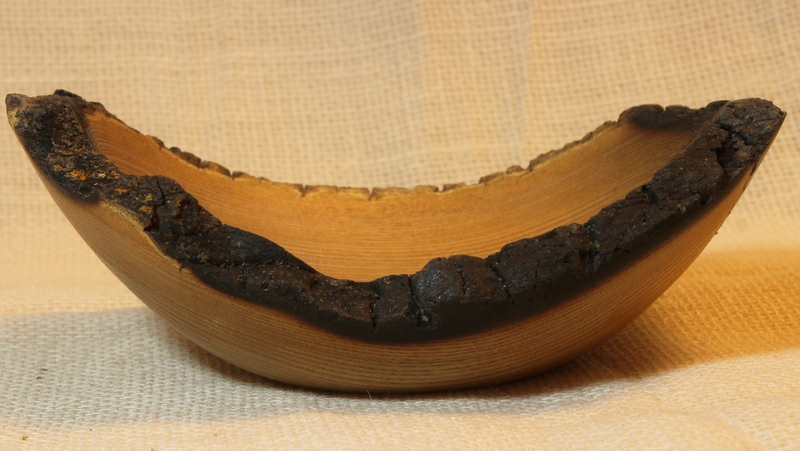 I really had no idea whether or not this was going to work–whether the wood was going to be any good, whether the charred edge would hold together–but I’m pleased with the result. 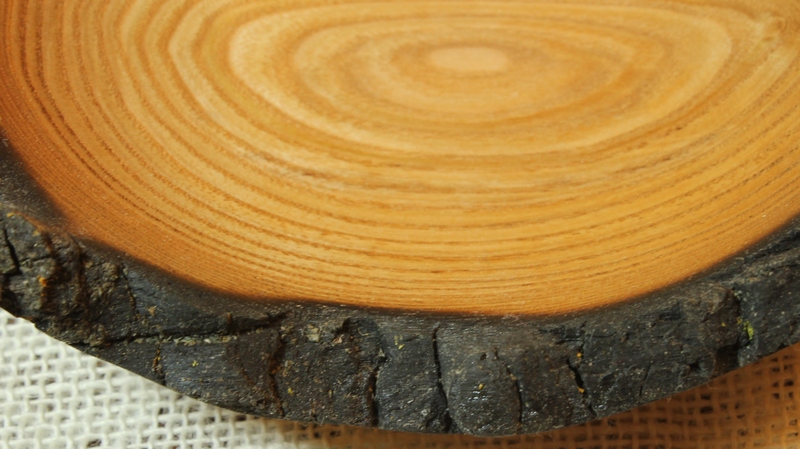 I left this one pretty thick, not knowing how the wood would behave, and I kind of like showing off the edge this way. 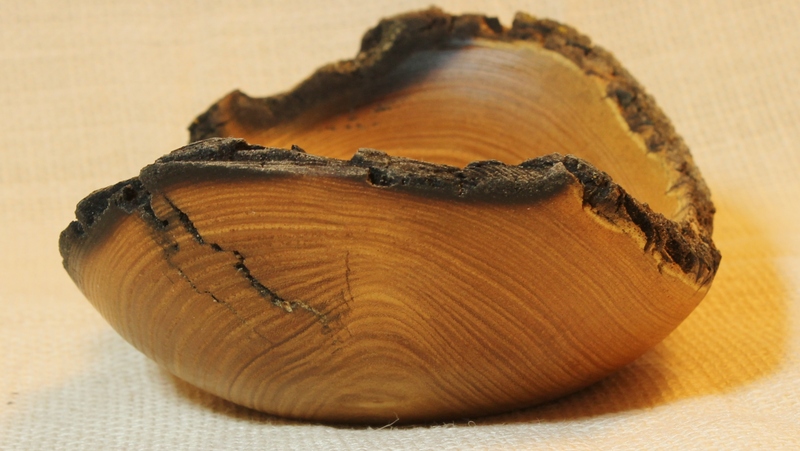 I have a couple more pieces from the log, so I’ll try to make the next one thinner. 7 1/4″ by 5″ by 2 3/4″, Danish oil finish.